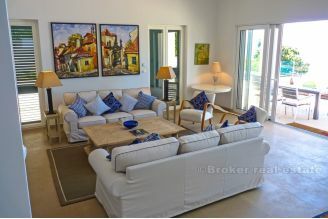 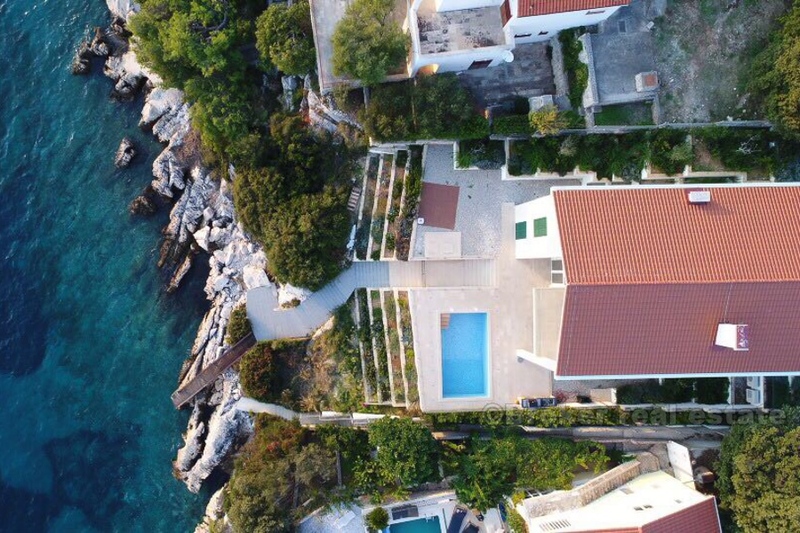 One of the few remaining villas on the island of Ciovo, located on the most sought after location on the island, in the first line to the sea. 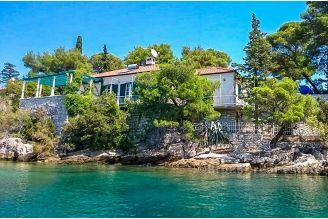 This villa is made in traditional style using the most quality materials, with a special emphasis placed on luxurious furniture. The location of the villa, as well as access to it, is extraordinary - located at the end of the blind street, with private electric door at the entrance, and a stone paved path leading to the covered parking lot. 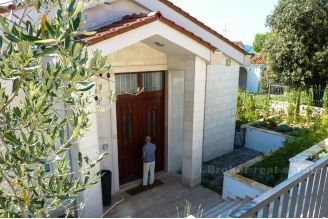 From the parking lot, stone stairs lead to the front doors of this villa (which are over 4 meters high). 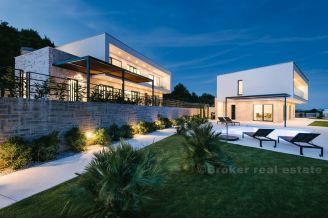 Designed in the style of a colonial villa, with an interior space that is completely open and accentuated with ceilings height of 4 to 7 meters. 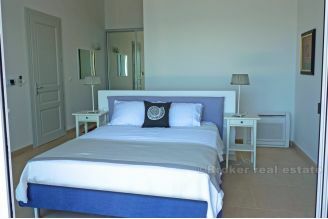 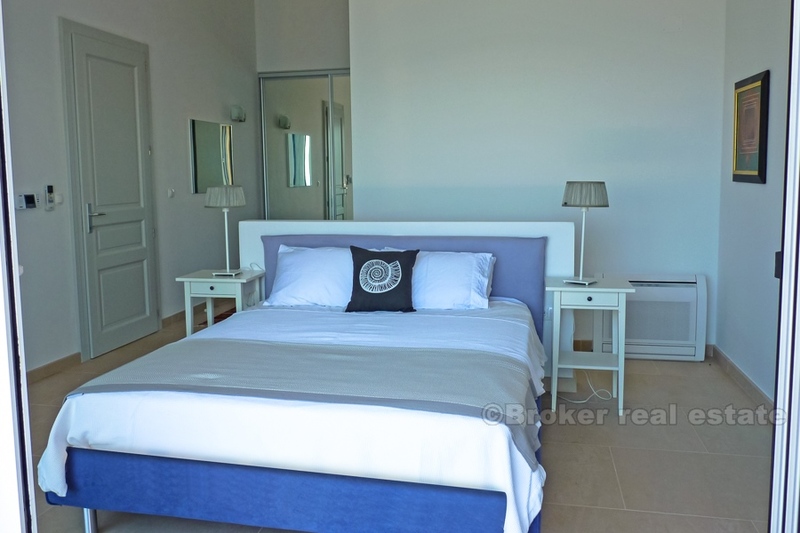 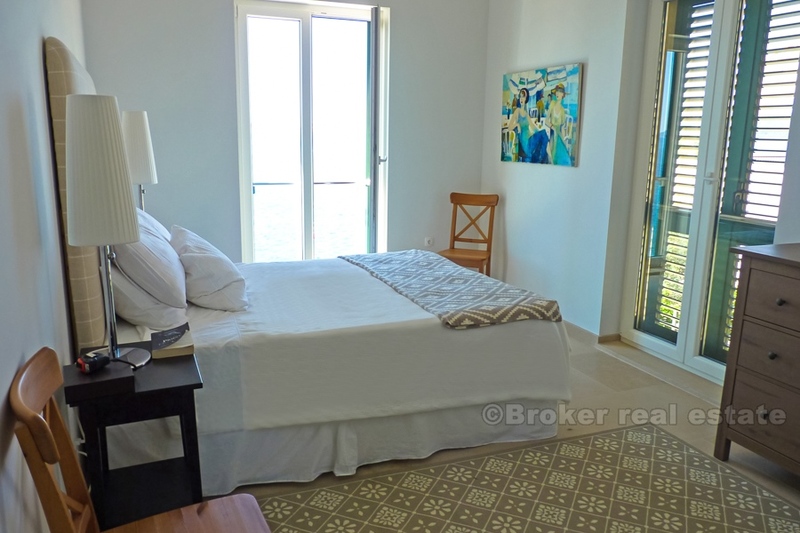 The villa has a total of four bedrooms, each with its own bathroom - located on the first floor. The ground floor consists of open space with kitchen, living room and dining room, guest bathroom, three storage rooms, technical room, laundry room, TV lounge and an exit to the terrace. 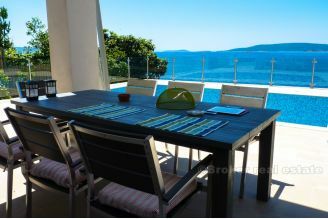 On the terrace there is a swimming pool, an outdoor dining area, all with a stunning view of the sea and the islands. 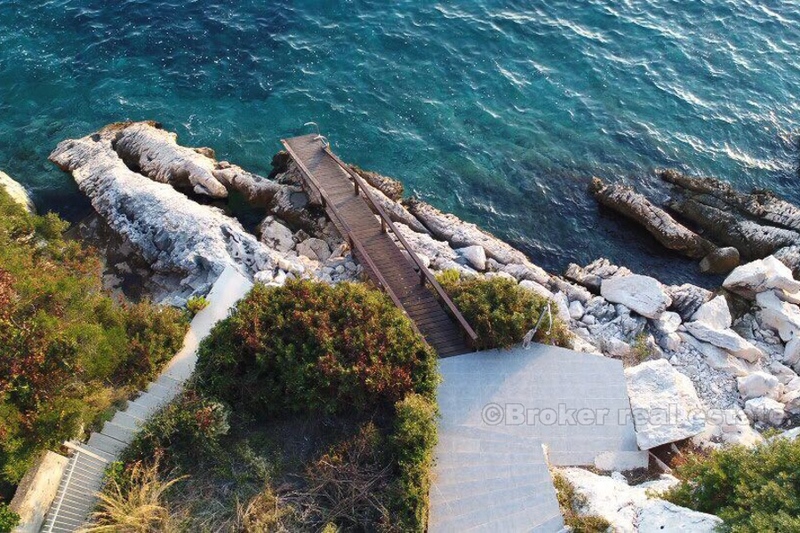 From the terrace, the stairs lead to the private entrance to the beach. 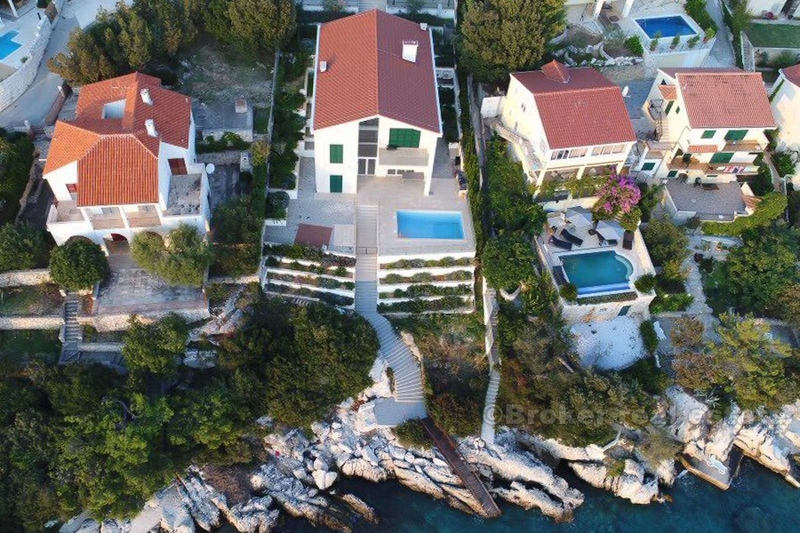 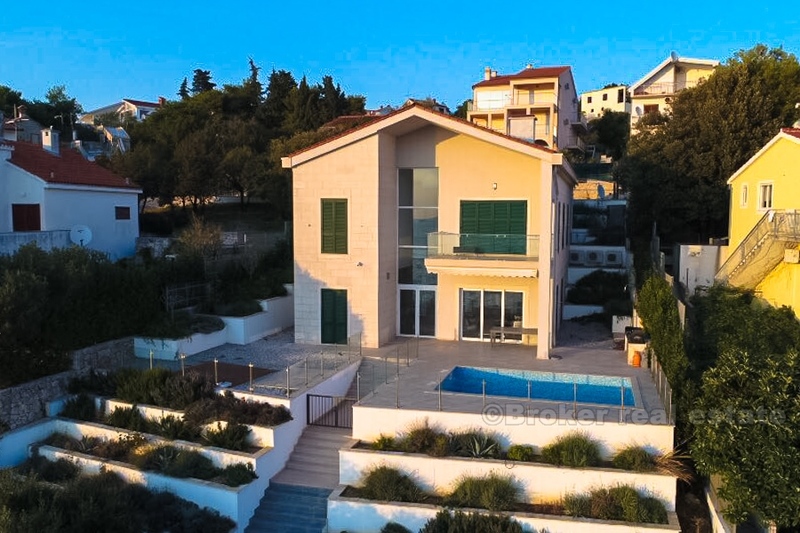 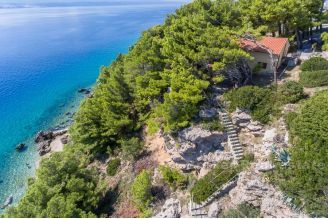 The beach in front of this property, as well as everywhere in Croatia, belongs to the state. However, this area is completely isolated from all sides, enabling full privacy. Therefore, no one else besides the guests of this villa will use it. There is a nice sunbathing area, an outdoor shower and a wooden pier for the boat. 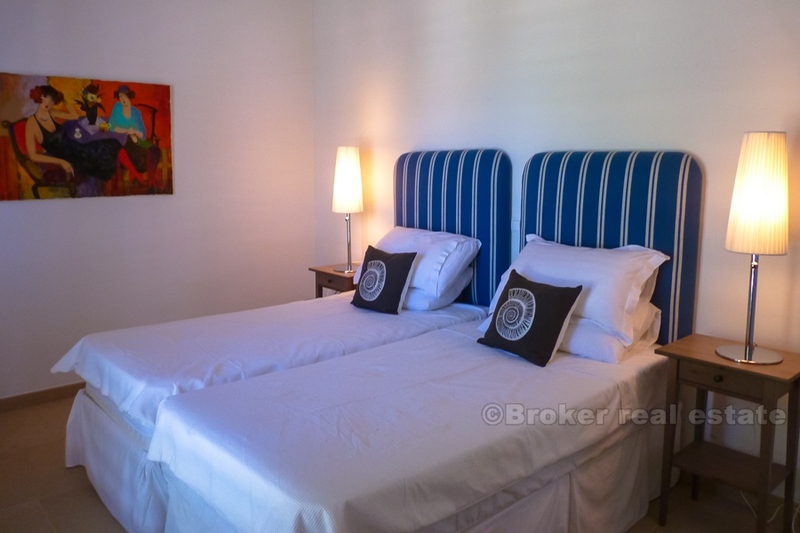 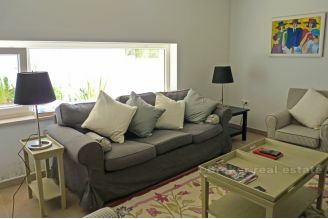 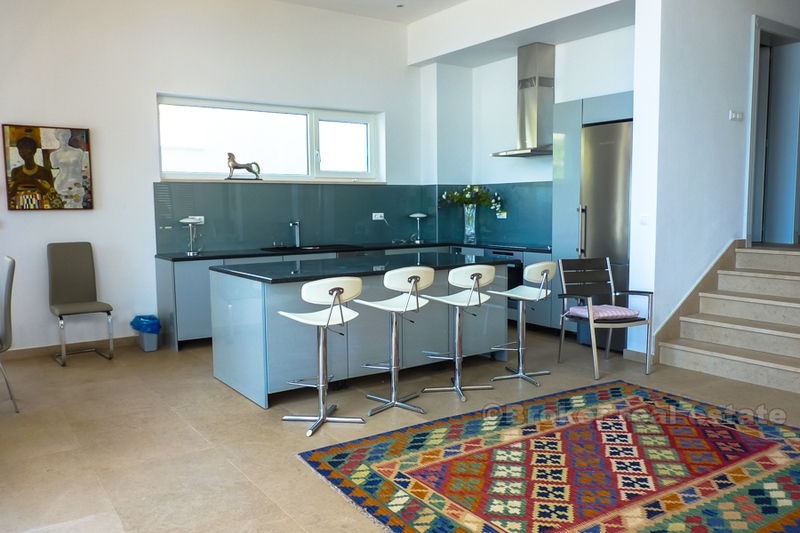 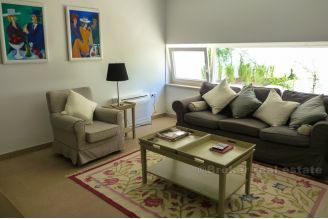 The house is air-conditioned, fully equipped with underfloor heating and a comprehensive security system. 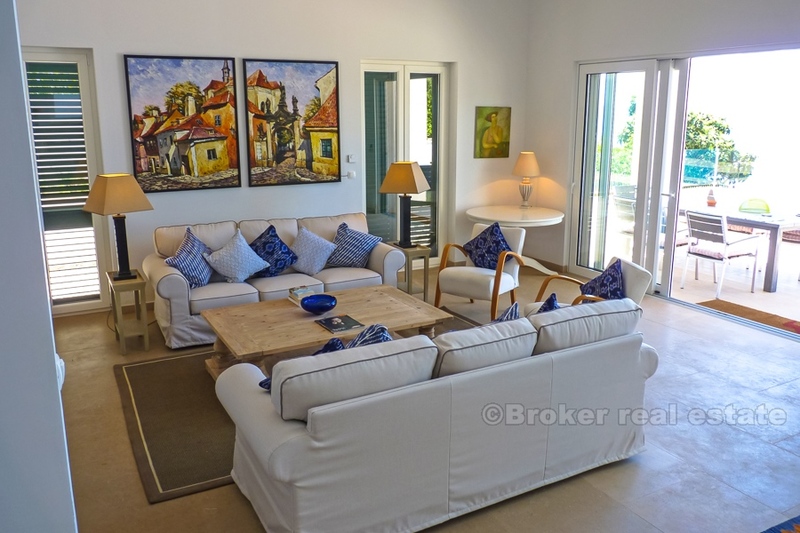 Parking is available for 4 cars, and the villa can accommodate 8 - 10 people. 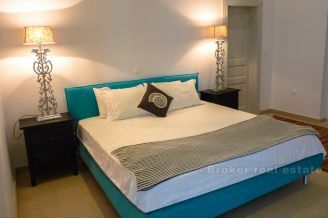 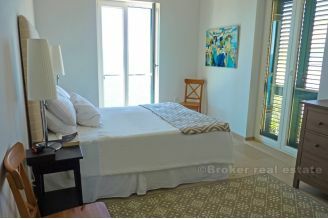 Nearby are all the necessary facilities - restaurants, shops, markets, cafes.. 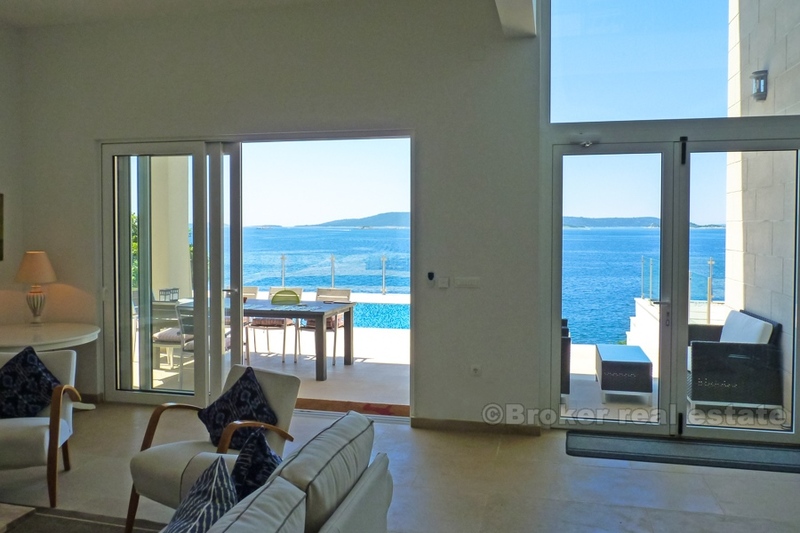 Distance to the Trogir is 8 km, to the Split 35 km, while the Split Airport is 14 km away. Current owners have asked for their privacy to be respected, and ask anyone interested in seeing this property to consult with the intermediary.